Set up and take notice of this horses's pedigree. 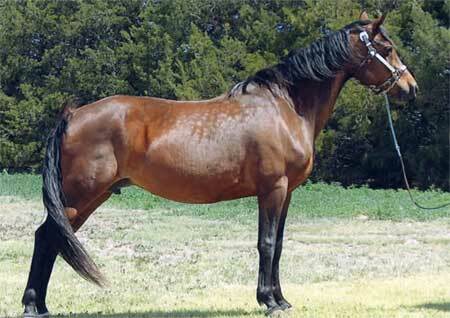 Her sire is the immortal Funquest Roadmaster. With powerful sires like Funquest Speedy, Funquest Talstar, Chief Red Hawk, Funquest Falcon, and The Brown Falcon, you have superb moving genetics at your disposal. We have crossed Funquest RoAnn several times and continue to do so to RG Stuart's Monarch, who's sire is Funquest Monarch to complete the genetic package. This cross consistently produces outstanding foals with the Funquest stamp (refined head, gentle dispostion, and the ability to carry themselves proudly). Funquest RoAnn crossed with RG Stuart's Monarch continues on the Funquest legacy master minded by Stuart Hazard.